Wed., Jan. 18, 2017, 4:17 p.m. 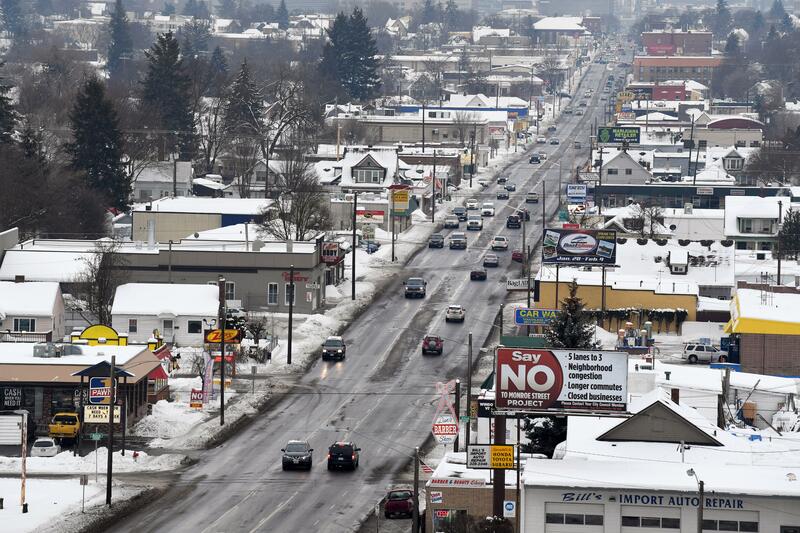 The open house meeting will be from 4 to 7 p.m. Jan. 26 at Knox Presbyterian Church, 806 W. Knox Ave.
Spokane public works officials are hosting an open house meeting next week on a plan to redesign Monroe Street between Indiana and Cora avenues. The meeting will be from 4 to 7 p.m. Jan. 26 at Knox Presbyterian Church, 806 W. Knox Ave. The city is planning to give the public an update on the project to reconfigure the street. Business owners along Monroe are concerned about a loss of business during construction and slower traffic movement through the corridor when the project is finished. Opponents said the new configuration also would drive traffic to other streets and away from the businesses. “This project is about balancing four considerations – safety, traffic needs, business health, and neighborhood health,” said Scott Simmons, director of public works and utilities. “This corridor has long been identified for revitalization, and this project will serve multiple transportation needs while providing for economic health, neighborhood beautification and safety,” he said in a news release. The $7 million project would convert Monroe from having two through lanes in each direction to having a single through lane in each direction along with a wider center turn lane. Street parking spaces would be enlarged as well. Lighting would be improved. Curb bump outs at intersections would make crossing the street safer for pedestrians. Three intersections would get additional safety enhancements with flashing beacons to warn motorists when someone is crossing the street. An uphill climbing lane would be built from Cora to Kiernan avenues. A 5-year-old girl was killed in 2013 trying to cross Monroe in the area slated for improvements, which is just over a mile long. A citizen advisory board worked for about six months to fine-tune the plan. City officials said the project will create a more “liveable community” for residents, shoppers and businesses. For more information go to my.spokanecity.org/projects/north-monroe-corridor-project-2018/. In coming weeks, the city is going to post an online survey at the project website. Published: Jan. 18, 2017, 4:17 p.m.